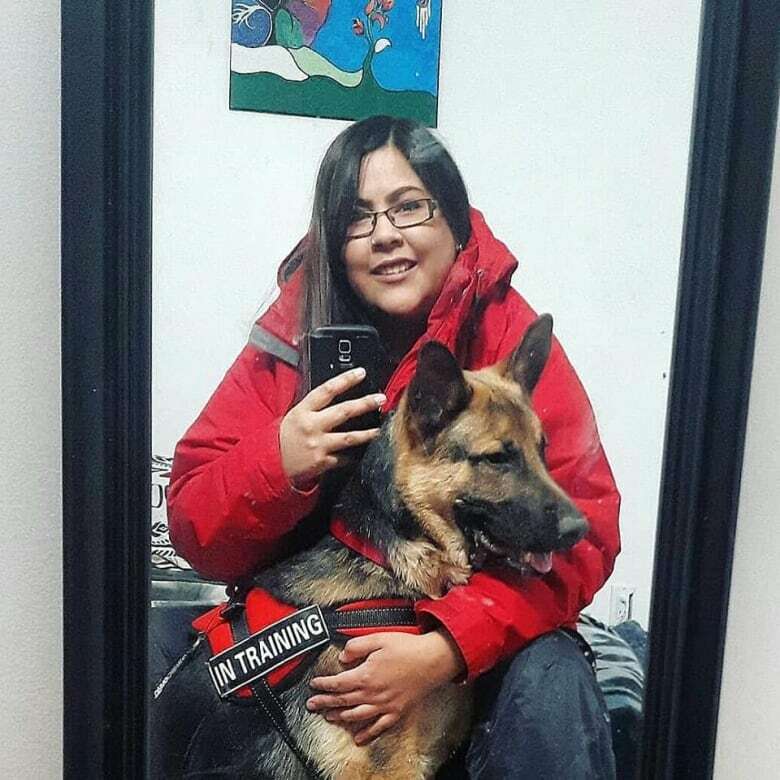 Candace Bighead says a Saskatoon psychiatrist refused to serve her when she brought her service dog to an appointment last week. Candace Bighead says her dog Bentley is her lifeline. 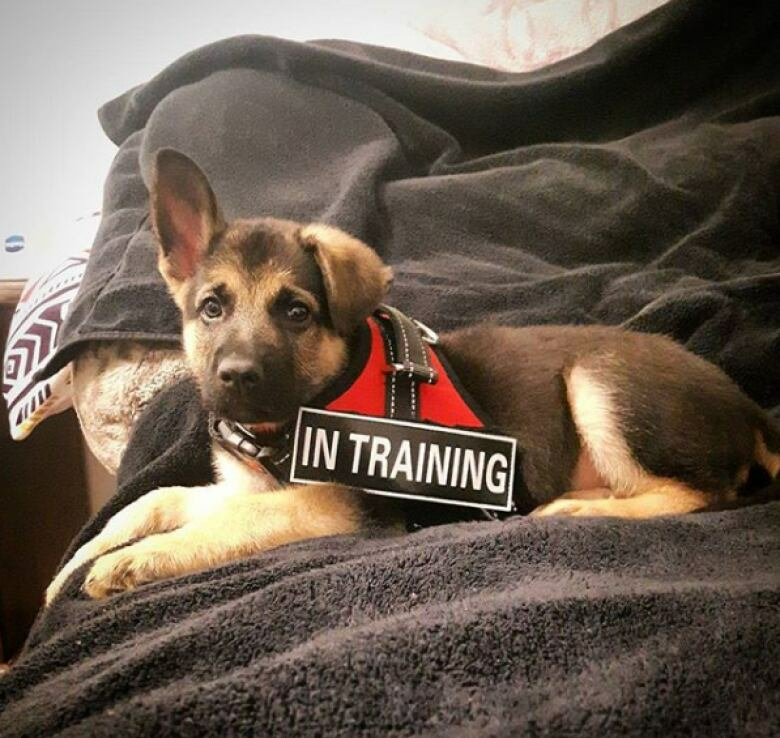 She is training the German shepherd as a psychiatric service dog. Bighead got Bently last September and she said it will take two to three years to train him. Bighead heard about service dogs from her therapist. She said it is on her medical records that she has one. Bentley also wears a black vest that says "PTSD Service K9" on the side of it. So Bighead was surprised by the reaction of a new psychiatrist she was scheduled to see last week. "I walked in and filled out some papers, and he walked into the room and looked at us and he said, take the dog outside or go somewhere else," Bighead said. She said she tried to explain that Bentley was a service dog and is allowed to come with her by law because he's considered medical equipment. "And he just, again, very aggressively said, take the dog outside or go somewhere else." Bighead said the receptionist didn't seem to have a problem with the dog and that Bentley lay at her feet the entire time. After she left the building, she had a panic attack, saying the incident triggered her PTSD. "My dog was able to pull me somewhere safe and he was able to do his job and keep me calm and safe, and then we headed back home." Bighead said she hasn't tried to get in touch with the doctor again, but she has filed a complaint with Saskatchewan Human Rights. The Saskatchewan Human Rights Code protects people with disabilities, including those who use service animals. It's a violation of the code to refuse service to a person with a service animal. The psychiatrist declined to confirm whether the incident happened and said that if Bighead has complaints, she should go to the College of Physicians and Surgeons of Saskatchewan or the psychiatric department in the University of Saskatchewan. 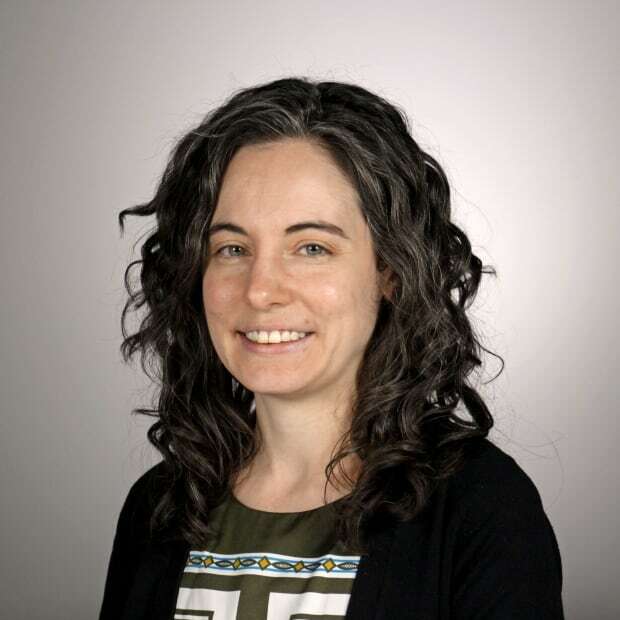 Bryan Salte, associate registrar with the College of Physicians and Surgeons of Saskatchewan, said the code of ethics for physicians states that physicians should not engage in discriminatory behaviour. He said it's difficult for him to comment on this particular case. "There is a great deal that we don't know, including what, if any, reasons the physician had to be concerned about the presence of a service dog, what options were available to deal with the patient disability without the involvement of the service dog and what the effect would be on the patient if the service dog was not available." Julius Brown is the provincial coordinator of OSI-CAN, a joint project of the Canadian Mental Health Association (Saskatchewan Division) and the Royal Canadian Legion (Saskatchewan Command). He said that with service dogs, both sides need to be aware and educated about how the animals work in our society. While he said there's no question Bighead needs a service dog, she should have called ahead to the appointment to let them know Bentley would be there. "One can't just walk in with a service dog and say, you have to accommodate me in any way," Brown said. "I say that's kind of unrealistic. You need to educate everyone and say, I'm coming to this appointment, I have this service dog, it's not certified but it's in training and I need it to function in public." 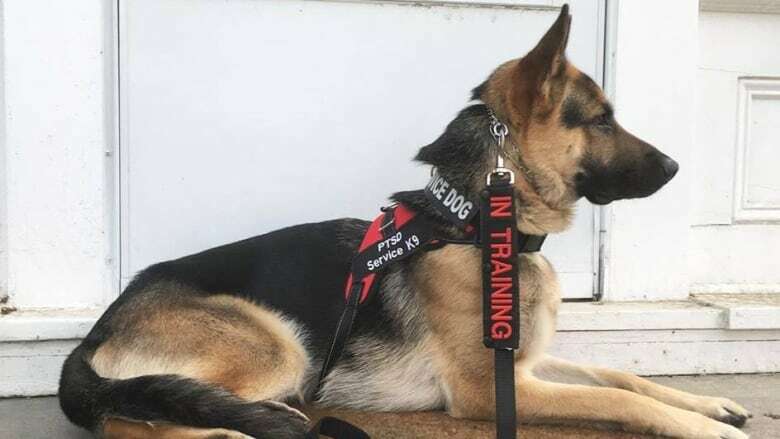 He also noted that a service dog that's in training should be afforded the same respect as a dog that has been certified because public exposure is part of the training. There is currently no standard training or certification for service dogs in Canada, though Brown said legislation is in the works. Bighead is planning on going to Winnipeg in the spring where a member of Manitoba Search and Rescue will be able to assess Bentley. She said the incident is an example of discrimination against people who have invisible illnesses. "I'm someone with a disability. If you look at someone with a wheelchair, that wheelchair goes everywhere with them, and you don't say, oh you can come in but your wheelchair can't. My service dog is the same thing; he's my medical equipment." She said the experience at the psychiatrist's office won't stop her from getting the help she needs. She plans on going back to her family doctor and getting a new referral — to a psychiatrist who is comfortable with having a service dog in the office.